The Future Office is one set in a very competitive space. As business sectors grow, so do ‘me-too’ organisations and the harder it is to identify a genuine business from a shark. Organisations have experienced the set-backs that being persuaded by the wrong businesses can create and for years have been searching for ‘competitive’ quotes in order to sift through the options. However, ultimately this can lead into either greater transparency or isolate a purchase in one specific party’s favour – which eliminates the reason for the process to begin with. Dealerships are primarily ‘service-driven’ organisations; we act as the third-party for manufacturers and end-users. The nature of our business puts us in a unique position, demands that we understand the standards and language used by the end-user –their project and interior teams –as well as being able to interpret the resources provided by our several different manufacturers in a way where we provide clear, correct, complete and concise information consistently and on call. MasterFormat (www.masterformat.com) is the standard universal language for construction specification and therefore influences the majority of bids we partake in. It has been the recognized construction industry standard for more than 40 years, therefore is a very solid and reputable resource for office furniture dealers to understand in order to properly bridge the communication gap between available resources and end-user requirements. However necessary as MasterFormat is to ensuring the end-user ultimately receives their requirements, without due care –because of the complex and sometimes political environment dealt with in office furniture bids –it can also facilitate the elimination of competition, which in turn distorts total cost of ownership projections. If a bid is written up with the proprietary method of prescriptive specification –unless the specification writer has a broad understanding of the office furniture industry –it can discourage competition and in turn allow higher margins and a lower value to the end user. There are other suitable types and methods of specification (e.g. 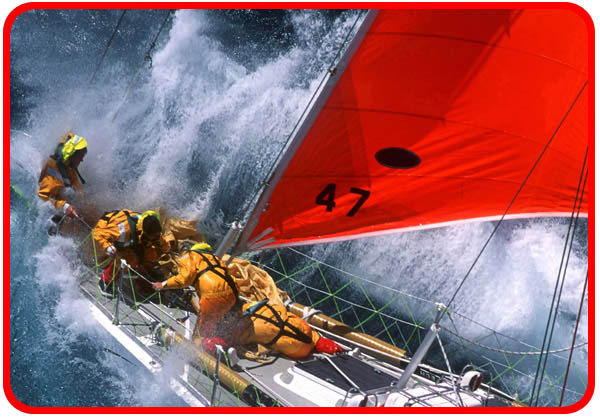 non-restrictive, reference standard) that allow competition for the best value package whist still maintaining the end-users performance standards. As professionals in the industry, it is not only our job, but our responsibility to ensure that we continue to advocate the highest value and total cost of ownership to our end users at all costs. This means understanding standards and how to utilize them to the end-users advantage to present them with the best total cost of ownership package, as well value-added or value-engineered alternatives dependant on the project. “Workplace design is undergoing a revolution, but there is also a sense that some people have been carried away…” Roger Whitehouse – Design as a Business Tool. We must still realize that design is a powerful business tool that we can use to create acceptable alternatives in specification. Only when we understand what the standards that the end-user utilizes to relay their needs, can we then use design as a tool to specify acceptable and performance-driven alternatives; fuelling competition and a higher value to the end-user. Until next time – go change the world. P.H. Our own Carmen Sparg was recently featured in the Kelowna Capital News. This Japanese proverb is ever so true. I have learned to believe that the single thing that sets apart an entrepreneur from a small business owner is their strength of vision. True entrepreneurs have a massive vision, which is needed to create the momentum to develop their venture. Along with vision, as I have written here many times in the past, one of the most fundamental parts of growing an entrepreneurial venture is leading an retaining a team so that you can leverage your time. Without leadership skills, that important factor becomes quite difficult. The focus of my column this week is a person who has truly travelled the world for many years, growing as a person in dramatic fashion along the way and never ceasing to learn about herself and what today can be identified as her vision of truth— that all things are possible. Recently, I met Carmen Sparg, co-partner of Total Office Business Furniture. I learned about her from one of her management staff members who is associated with our Okanagan Valley Entrepreneurs Society. It didn’t take me long to realize that Carmen Sparg never sits still, and has grown into a dynamic being of great potential. For my column today, I was particularly interested in the root of Sparg’s journey, which began in the African country of Zimbabwe, which borders on South Africa. Her father ran a plumbing/construction venture with a surveying consulting practice. Her brother, who has become a mortage broker, and her were raised by their stay-at-home mom. After Sparg completed her business economics certification at a Technology College in South Africa, she worked as a controller in several large companies. That provided her with hands-on experience in business management. The next few years of her personal journey started with working for various corporate entities in Europe during 1992 and’93. Returning to Johannesburg, South Africa, she worked for a television manufacturing company, then spent a brief sojourn with an electronics firm. Sparg one bit as the family decided to move to Ireland for a few years in 2000, an opportunity to accumulate sufficient funds to bring them to their ultimate travel destination—Canada. At this point, Sparg had me dizzy trying to keep track of her family’s excursions, but I confess it was getting fun trying to keep up. I asked her if she could describe what prompted Canada for her family to settle, and she replied that Canada was one of the English-speaking nations of the world that she and her husband felt would be fruitful as a country to raise their two children. At the same time, she also cited how Canada offered potential for job and career paths for the couple. Sparg and her husband struggled to find suitable employment. Ironically, she began a position with the company that today she proudly is a partner in the office furnishings industry sector. She worked for six years as an employee, gaining enough self-confidence believing she could venture out on her own as a bona fide Canadian entrepreneur. Through her own process of reflection and exploring startups, Sparg decided the time was right, for her, to “take the plunge” into entrepreneurship. She resigned from her employment with some trepidation of what the future might hold. When her resignation notice was served, the opportunity arose quickly for an owner/partner buyout, and Sparg had suddenly arrived at the threshold of Canadian entrepreneurship before she knew what happened. The rest of the story is an Okanagan history lesson. From the violent racial abolishment of the South African apartheid system that claimed the lives of some of her immediate family members to Canada’s new world of entrepreneurial adventure, Carmen Sparg has responded to the challenge before her. Through her partnership in Total Office Business Furnishings with business partner Roy Collins, supported by a truly remarkable industry “family” assembled around her, the business domain for Total Office has spread from Kelowna to throughout the B.C Interior for existing and new office products, with Western Canada as the next step for growth. Sparg cites her key strength as the ability to engage people in all facets of life’s journey. I can vouch for that, as Carmen is truly a professional person who seeks the best in people she has on her staff team, those with whom she cites as customers and those who are her genuine friends. Before I leave the story of my new friend, let me assert that Total Office is a leading supplier of office systems and related office furniture products, established now for 14 years. The business has been built on a platform of design, product leadership and responsiveness to customer needs with long relationships the likes I have not witnessed in many industries in this region. Joel Young is an entrepreneurial leadership coach, consultant, educator and the founder of the Okanagan Valley Entrepreneurs Society. What more do we know about numbers than the greatest mathematicians in the world? David Hilbert for instance knows just about as much of a ‘three’ as anyone of us. Positive integers are the foundation of counting and arithmetic. The only difference between great mathematicians and those not as well versed in mathematics is, in essence, the ability to identify a whole bunch of ‘threes’ – three oranges, three cookies, etc. – and perform a bunch of manipulations with ‘three’ such as two plus three is five. Also, one of the reasons that mathematics is so useful is because we can use the statement “two plus three is five” in many different situations, such as knowing we’ll need $5(or a credit card) when we purchase a muffin for $2 and a Frappuccino for $3. Nonetheless, “three” is a number, it’s constant – we cannot understand it any better or worse, it’s what we do with that understanding of “three” that equates to our mathematic ability. Math is everywhere in our daily lives! Dependant on what you do for a living and what your aspirations are, there is more or less of it. The way we go about in our businesses, our processes, it all stems from a mathematical calculation where the sum is positive to our agendas. If you’re wondering why your car is never ready when the garage tells you it will be, is a mathematic equation! 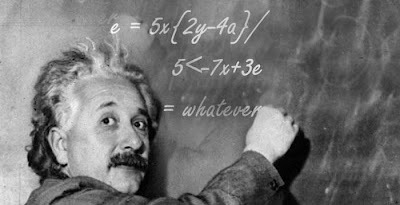 “Do not worry about your difficulties with mathematics; I assure you mine are far greater.” – one of Einstein’s famous quote. Every architect works with a mathematic equation when their planning office space. We like to call it an ‘office space metric.’ This is a calculation, per square foot, that determines where the walls go, what size the workstations are, how wide a corridor is and what the lunchroom ends up in terms of seats – it is based off of the culture of the organisation, and fueled by what the vision of that space will be in terms of productivity and efficiency. This ‘office space metric’ goes as far back as the architect profession itself! To this day everyone in our industry uses their own little version of this ‘office space metric’ but we’re computing the same data and trying to come out with the same outcome. The way we’ve been defining the future, is the best practices today being applied as a general practice. When we find a better way to do something, we trend – the world, slowly (as a global entity, like wildfires in small groups) follows suit and improves their process. And why wouldn’t we? Better practices means a better equation – for business that’s increased profitability! So when it comes to something so integral, as substantial as mathematics, there’s nothing about ‘three’ that we’d like to change – because that never changes! What we do change are the equations we use to manipulate that three in order to get to a more favorable result. With respect to the ‘office space metric,’ we’ve been looking at this equation the same way, with ever so slightly variations in order to take ownership of it. The equation itself has changed significantly for organisations that are leading the business world – their external placement in the marketplace is a direct reflection of the efficiency of their employees. 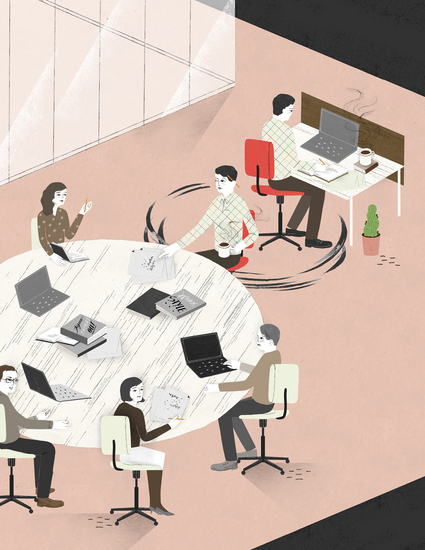 WorkplaceOne is a bold re-calculation of how we define a work environment. This calculation has already been taken and varied ever so slightly so that other organisations can claim ownership to it, however the sum is the same – it is positive to our agendas. Here is the official picture of the Kelowna Chamber of Commerce Directors with our own Carmen Sparg. The programs and committees of the Kelowna Chamber of Commerce are overseen by a volunteer Board of Directors consisting of 14 elected Directors and four appointed Directors. Collectively, Directors and Appointees bring expertise from their respective sectors to the Board and help the Chamber work more effectively on behalf of our members. Our Chamber CEO, Caroline Grover works with the Board and handles the day-to-day operations of the Chamber and it’s team of 7. The office prominent in the workplace today is insufficient for the amount of talent in – and the calibre of our current workforce. We have had the privilege to be a part of designing and implementing the small – yet rapidly growing – innovative workplaces in offices that encourage growth in their employees and efficiency in their processes. We’ve seen the energy change from subdued to energetic and heard the stories boasting a renewed life in old office space. This is the future office, it is now, it’s not being created by us – it’s already here. Our skillset is in our design, which often can be mistaken for creativity – not to say we’re not creative, we just need to draw the line between where we know we are creating office space and where we are designing office space. There is usually a battle to draw the fine line in between creativity and design, simply because with each different worldview comes a different perspective on what that really is. The human mind is a very complex place; “the human mind is so complex and things are so tangled up with each other that, to explain a blade of straw, one would have to take to pieces an entire universe. A definition is a sack of flour compressed into a thimble,” – to quote Remy De Gourmont. Speaking philosophically, we all aim to survive, whether that is through life in general or through our works; survival is a human instinct. Because creation is unique to the creator (which leads to the generation of the creator’s legacy) people can interpret creation as survival. There is nothing wrong with striving to create, to leave behind your mark. If you’re leaving your mark in the workplace, then it means passion in the workplace. But never mistake creativity for design. As per a direct quotation from the Merriam-Webster dictionary: Create “1 : to bring into existence ” Design is “1 : to create, fashion, execute, or construct according to plan” To create is when we attempt to solely express our character through our work, which is the exact opposite of what we need to do as industry professionals. We need to learn how to design. The idea of design states that there is a plan in place, or at least a set of overlying parameters that must be followed. Can we be creative in design? Most definitely! But we need to first establish design as the primary objective of our actions and let creativity help address the requirements of the design; to be purely creative is to be self-destructive. It will lead to deviation from standards as well as from the vision of those that empower us with the privilege to create. “Design is the conscious decision-making process by which information (an idea) is transformed into an outcome, be it tangible (product) or intangible (service).” – John Locke. In an application to the office furniture industry, another supporting idea that creativity is not design is that anyone can ‘create’ a visually breathtaking workspace. However it is design that dictates its feasibility, efficiency, total cost of ownership and return-on-investment. Designers are a rare breed of skilled individuals whom apply their industry expertise to end user requirements. In our industry, design is the interpretation of those requirements into visual and technical specifications, all the while meeting jurisdictional building codes and relative environmental requirements. Usually there are interior designers and/or architects heavily involved in the acquisition and planning process of a project. In the instance that a project is void of both, dealerships have in-house teams that have the required experience and resources to substitute or compliment this role when necessary. Now we’re not against creativity – without which design in itself is a flawed process. Being creative is a characteristic that is appreciated by people in general. It means that there is a constant flow of ideas, even solutions, to the mundane of everyday life. After all, everybody has a little bit of creativity in them. However people that design need to become experts in what they do, so they sacrifice creativity for acceptance; what, under a general consensus, is approved as correct by the parties involved. There is a design in ‘Law,’ ‘Architecture,’ ‘Botany’ and all other accepted practices. Some experts thrive off of creativity and encourage it. However, a good handful of experts loathe creativity due to the negligence that generally follows the inexperienced. Never let the battle of design and creativity get in between common-sense and the obvious. No matter how many pages and illustrations explain how efficient a new door system is, if I can’t walk through it without effort, all of that design and creativity fails right there. 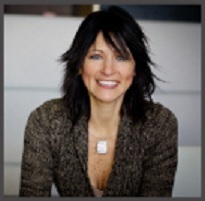 Total Office is proud to announce that our own Carmen Sparg will sit on this year’s 2012 Board of Directors for the Kelowna Chamber of Commerce. Carmen being sworn in by Kelowna Mayor Walter Gray. 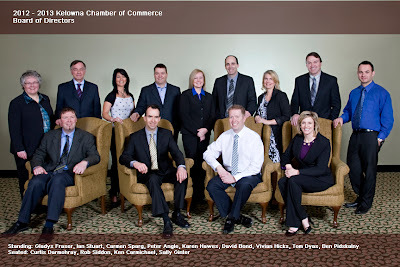 February 27, 2012 – Kelowna, BC – The Kelowna Chamber of Commerce today announces the new members to the Board of Directors after the election results. “We are thrilled with the high interest of candidates for our Board this year” said Chamber President Karen Hawes. The Chamber would like to welcome our new Board Members. Their first official event with the Kelowna Chamber will be our Annual AGM/Economic Outlook Luncheon on March 8th. The Kelowna Chamber of Commerce acts as a single powerful voice for their 1200 members and their 25,000 plus employees to promote local business interests. The Chamber provides a cohesive business network for its members to expand their business contacts, value-added benefits, programs, and services aimed at improving the bottom line of Chamber members. Their mission is to foster a positive business environment by providing members with leadership, advocacy and services of value. There are so many terms floating around in our industry that it’s difficult to determine what a marketing ploy is and what is actually relevant to your organisation. Trends in the market are driving a shift in the way office furniture is designed and utilized. Designers and architects are noticing the footprint of offices and workstations shrinking to optimize available space, increase collaboration and ultimately yield a greater return-on-investment to the owner. This action, this change, doesn’t go unnoticed in our society and those trusted to consult us and define it, tend to assign words to box in certain aspects of these market trends. One such word is ‘Virtuaility’, a word that is used often in defining what the ‘Future Office’ looks like. “Suddenly, real estate didn’t seem so real any more. 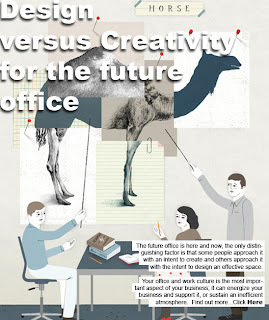 I realized just how rapidly ways of working in the office were changing, and how radically these changes would affect the conventions upon which office design and real estate practice have been based for decades. But I saw that what was more important was that everyone will be affected by the changes because they are irreversible…” – Francis Duffy, Design Strategy for the Future Office. It is true that every aspect of the workplace is changing. There is a wave of new construction that is not waiting for strict environmental standards to be imposed decades down the road, but instead opt for current third-party certification such as LEED (Leadership in Energy and Environmental Design,) that promote sustainability, total cost of ownership efficiency and indoor-environment quality. We’re also faced with a multi-generational workforce – Traditionalists; Boomers; Generation X and Millenials – that have different ideas of what the workplace should be and how the work is done. The younger generation thrives off of collaboration and a dynamic office, changing the way walls and the ‘corner office’ are being perceived. The one concern that I have is that people try to box the future office into a defining term that becomes a marketing ploy for them. They end up succumbing to making predictions at what the future office looks like – and it’s nothing new, people in every industry and walk of life have made predictions that at the time seemed quite credible, but ended up wrong. I have pulled a few quotes from a list with a little over eighty more (you can find hundreds more as well). · “We stand on the threshold of rocket mail.” – U.S. postmaster general Arthur Summerfield, in 1959. · “By 1985, machines will be capable of doing any work Man can do.” – Herbert A. Simon, of Carnegie Mellon University, 1965. · “With over fifteen types of foreign cars already on sale here, the Japanese auto industry isn’t likely to carve out a big share of the market for itself.” – Business Week, August 2, 1968. “Prediction is very hard, especially about the future” – Yogi Berra. To predict with absolutes (i.e. guiding a rocket) is a complex mathematical process where skilled professionals dedicated to that task are enlisted. To predict the future based off of various and sometimes contrasting research is risky. The human factor: psychological, social, socioeconomic, physical and biological characteristics make it virtually impossible. 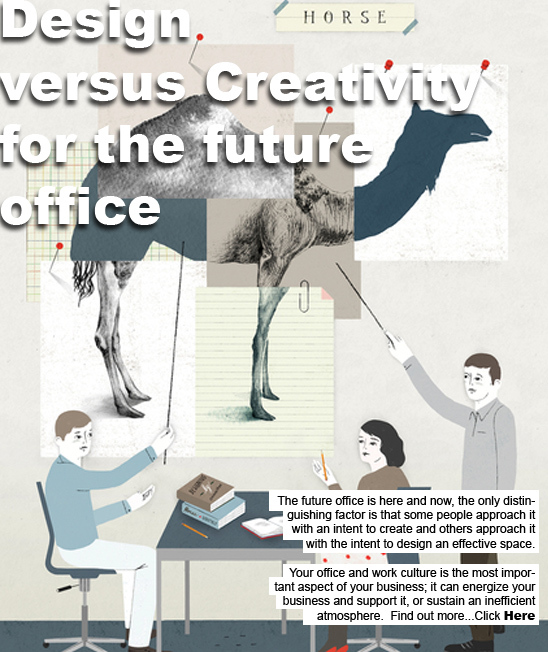 Everyone is trying to predict what the future office landscape will look like. Some people use industry terminology and complicated analysis to sound credible and convince the unsuspecting. Others are doing the right thing: they are using the available research and resources available to them to encourage ‘Total Cost of Ownership’ and improve ‘Return-on-investment.’ By addressing the present efficiently is the only way we can possibly attempt to predict the future. This ‘Virtuality’ seems inevitable, but the impact of it is what we cannot predict. Will people be able to work solely from home? Will a desktop-replacement laptop be a sufficient ‘virtual-office’ that people can work from anywhere? Will networks and technology support virtual corporation initiatives? These questions can easily be manipulated to paint a picture of a monster out of ‘virtuality,’ when indeed the extent of ‘virtuality’ will be increased productivity in its simplicity. The people that sit at desks and use the valuable space an organisation purchases are specialists in their respective lines of work. Technology is a tool that they utilize to aid them in the bottom line, it is not a requirement. The best way to illustrate that statement is to say that the world was still spinning in 1938 and 1972, preceding the invention of the computer and the internet respectively. ‘Virtuality’ is not what we need, if it catches on it’s because it is what we want. Every organisation is different and unique in its processes. This means that even though we have modular benches, can create touchdown and ‘hotelling’ stations does not imply that everybody can increase efficiency and return-on-investment through the same techniques. The professionals in our industry are trained to adapt to specific client requirements and provide them with maximized return-on-investment through the best ‘total cost of ownership’ practices. To reference ‘Contract Magazine’ (which has several articles on the future office) whom publish articles specific to the contract furniture market: One of them that jumped out at me was ‘Characteristics of the Future Office’ by Ruth Jansson, CID, IIDA, LEED AP. In her article she spoke of workplace standards as well as the influencers in designing such standards. These standards are adhered to when expanding or reconfiguration. She also touches on speculative spaces, another area of design which supports total cost of ownership. These methods are some of the closest we can come to providing the most efficient solutions for your organisation without running the risk of incorrect predictions. Virtuality is a reality, but the obvious is the closest we can come to ‘predicting the future office.’ The rest of the information and statistics are just additional tools in our arsenal. • Demographic Change in Canada: Making Sense of Trends and Drivers. Presentation to 2017: The Workplace, University of Waterloo, October 16, 2007. Mark Schaan, Retirement and Ageing Division, Strategic Policy and Research Branch. We cannot view the future as some distant ideal that we have little or no say in. Instead we need to – we must see the future as the best practices of our industry today, being amplified throughout the entire industry as a whole. Then, with a solid foundation we can trend forward, increasing our productivity, efficiency and the bottom line. One study blows away the negative perceptions of change, because through simply using ‘Solution #7’, HP was able to make ‘tangible’ and ‘measurable’ (two of the most important terms in marketing) total cost of ownership improvements with significantly higher than just nominal results. In today’s top-performing companies, workers spend more time collaborating and learning – gathering in meeting rooms, training rooms and team spaces, as well as lounges and cafés. Yet, many companies have not taken into consideration that dedicated workstations are being used less and less. The result is less than optimal use of an important physical resource – space. 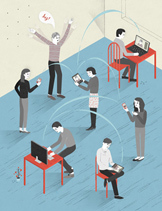 The new reality is that people move around at work and are more productive when they do. Information gets passed along in brief, casual exchanges just as much as during formal meetings. The challenge for those charged with creating the office plan is to balance the need for dedicated spaces that support focused work with the need for immediate access to shared spaces for collaboration. The ideal of the future office is taking the above fundamentals and applying them across the board as Solution #7. Rather than just seeing how we can reconfigure the spaces inside the box, we need to take ourselves out to about 50,000 feet high and take an objective look at the space being utilized and what the ultimate goal of achievement is. Is it 40% utilization of space or is it 50-90%? Or do we dare to dream and say that we’re going to utilize 95-100% of the space that we’re paying for? We can’t do that by just reconfiguring a desk or buying an ergonomic solution, we need to do that by not buying anything but by tapping into the resources available to us to plan and execute brilliantly, far before the purchasing stage. Until next time – go change the world.P.H. The Future Office isn’t a distant depiction of what the workplace can look like – it’s the best practices of today being amplified for the majority of the workplace as a whole tomorrow. The way computers are used in pretty much every business and help us achieve far more productivity than we could have twenty years ago, is the same as taking what is systematically working well in the office and watching it explode as the norm, as people discover it’s untapped potential. When society as a whole can find a significant benefit from a relatively simple process change, we adapt, or as the social-media-era would put it – we trend. “A quiet revolution is happening in the places we work. And this time, the transformation is only partly driven by technology. It’s also a response to a new generation of workers with new ideas about life and work, ready and willing to abandon the conventions that have long governed office life – the 9-to-5 workday, the coat and tie, the once-coveted private office. Change has come and we are just beginning to see what it will look like. We can talk about the workplace trends, the four different generations in the office and the need for knowledge workers. But we’ll leave the research and business philosophy to management guru’s like Peter Drucker, already renowned worldwide for their expertise in the field. What we will do is give you sneak-peeks at what this future office looks like – because it’s already being implemented by some of the most powerful organisations in the world! And it not only adds to the bottom-line, it challenges it. We have a startling example of ‘Total Cost of Ownership’ in our next chapter – not one that we did ourselves, one that was implemented and tabulated. One of many that won’t stay hidden for long, because like we said earlier, when so many can benefit from doing so little, we trend. 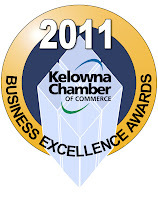 Recipient of the 2011 Business Excellence Award! Thank You Kelowna! Wow. 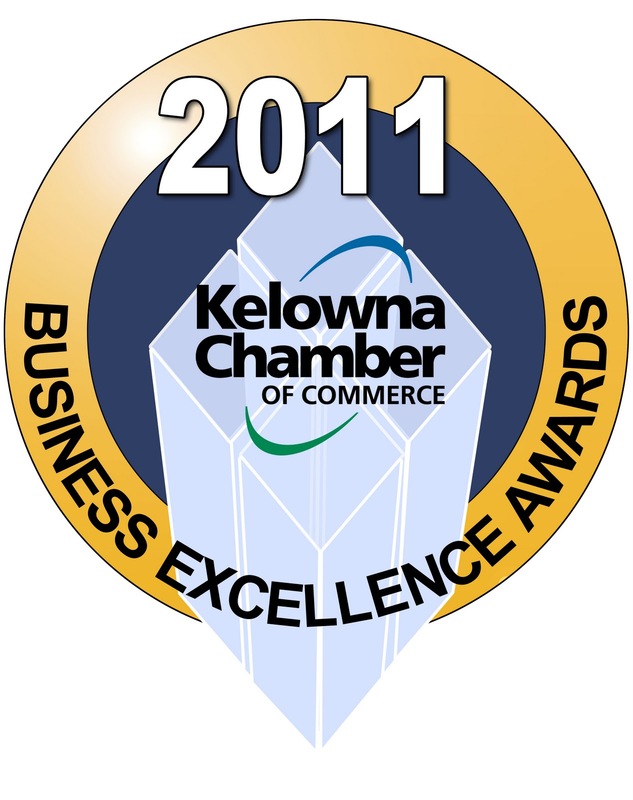 It’s tough to describe how honored we are to be the recipients of the 2011 Business Excellence award for Small Business!! First and foremost we’d like to thank you, our community, our clients, the Chamber of Commerce and so many others that we’re connected within the Regional District of the Central Okanagan. We’d also like to extend congratulations to the other finalists in the Small Business category; X10sion 207 Clothing Company/Surf Culture Clothing Co./X10sion 207 Premium OUTLET and All Occasions Party Rentals Inc. It wasn’t without effort getting here, but with an amazing staff in place that is willing to go above and beyond our expectations, to deliver on our promises, it’s been worth every step of the way! We’ve seen each member of our team grow and the dedication of everyone in really raising the bar of service excellence – far above our slogan and right in line with our mission statement, it means so much more than words when you actually see your staff live it every day! In line with our commitment to excellence, we want to take this opportunity again to share our heartfelt thanks to you. We hope if there’s anything we can do to get involved with your business, you’d give us a call so we can show-off our award winning team! Of course as all small business owners know, with every ‘calm will come a storm. We appreciate and respect this award, yet are inspired to blow the business community away next year and reef our sails through whatever challenges ahead. Total Office will lead the office furniture and service industry to higher levels, we will do our best to encourage the business leaders around us to continue and do the same! Let’s take on 2012 together, Kelowna! http://totalinteriors.ca/wp-content/uploads/2011/10/businessexcellence1.jpg 1600 1266 Daniel Joseph http://totalinteriors.ca/wp-content/uploads/2016/11/Total-interiors-logo-300x100.png Daniel Joseph2011-10-17 22:31:002013-09-13 11:19:21Recipient of the 2011 Business Excellence Award! Thank You Kelowna!